Emerging markets may be buffeted by a stronger U.S. dollar (Exchange:.DXY) and lower commodity prices, but the segment's bonds still look like a good bet, analysts said. "A significant rise in the international debt of emerging market corporations since the end of the last recession has raised concerns that they could be vulnerable to a continued strengthening of the dollar," John Higgins, chief markets economist at Capital Economics, said in a note Wednesday. But he added "the currencies of some of the countries where issuance has been large are unlikely to depreciate much further, if at all." While Chinese companies were responsible for a third of the increased issuance, the country's currency, the yuan (Exchange:CNY=), is actually likely to appreciate, not depreciate, he noted. In addition, while Brazil and Mexico also issued large amounts of corporate credit, with their respective currencies posting sharp falls of around 40 percent and 20 percent against the dollar, Higgins expects the decline in Brazil's real (Exchange:BRL=) may be over and Mexico's peso (Exchange:MXN=) may recover. Read More Will lower oil prices deck Treasurys? Valuations of emerging market corporate bonds are already low, reducing any downside risk, he said. Others are also sanguine on the risks to emerging market bonds. 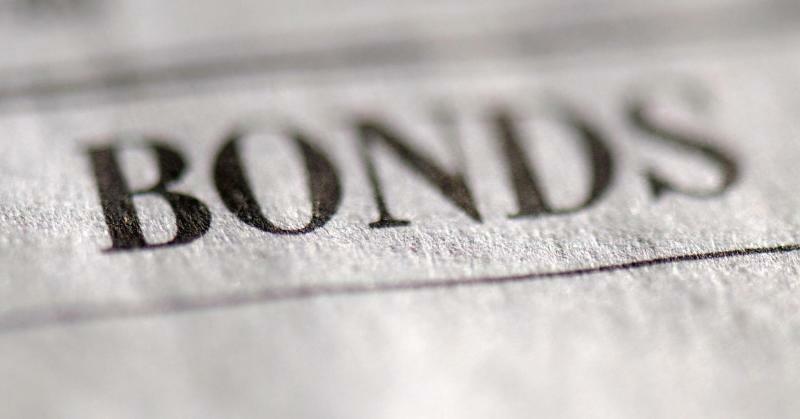 Around $431 billion of domestic and cross-border bonds will come due through 2018 in Asia-Pacific ex-Japan, but most of these companies are able to address this, with refinancing a likely option, Moody's (MCO) Investor Service said in a note Wednesday. "The debt maturity profile is staggered and dominated by investment-grade, domestic bonds for which market demand is strong," it said. "Asian companies tend to have better access to domestic capital markets than to cross-border markets and should therefore be able to refinance this debt." Some are betting that bonds in emerging markets will offer gains even as their currencies face headwinds. "Asset prices in emerging markets will adjust to the weak macroeconomic outlook,"Morgan Stanley (MS) said in a note last week. "This means that fixed income markets are likely to continue outperforming foreign exchange as growth and disinflationary pressure continue to weigh." It expects yields in developed markets will remain lower for a longer period, supporting a positive total return for emerging market fixed income in the first quarter. Indeed, the European Central Bank is considered more likely to introduce quantitative easing, which may prompt capital flows into emerging markets, the bank said. It advises accumulating local rates and sovereign credit, although it keeps a hold call on emerging market corporate bonds on the less compelling risk-reward. But Morgan Stanley expects the segment will face headwinds in the second half of 2015 as U.S. interest rates begin to normalize, bringing some concerns about external funding and currency mismatches. Will lower oil prices deck Treasurys?